The parent of Blue Cross & Blue Shield of Illinois, the state's largest insurer, made more than a billion dollars last year, rebounding after three years of Affordable Care Act-related duress. Health Care Service Corp.'s 2017 net income soared more than 10-fold, to $1.26 billion, according to its newly filed financials. That marks a return to traditional levels and even tops the $1.01 billion reported in 2012, before the impact of the 2010 law, commonly called Obamacare, took hold. In 2014 and 2015, the insurer spilled losses of $281.9 million and $65.9 million, respectively, before earning a relatively modest profit of $106.3 million (much less than 1 percent of revenue) in 2016. Obamacare created public health insurance exchanges and forbid insurers from rejecting consumers with pre-existing conditions, like heart disease and diabetes, leading to 20 million more people gaining coverage—but also requiring insurers to take more risk. 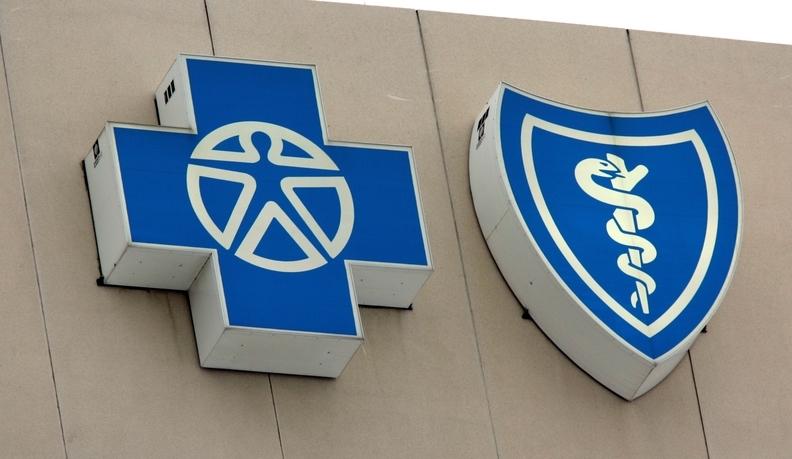 Chicago-based HCSC was among insurers nationwide that lost big selling plans on the exchanges. Enrollees were far sicker and more expensive than projected, prompting many insurers to bail out of the program. HCSC participates in the five states where it sells Blue Cross plans, including Illinois. As the White House and the Republican-controlled Congress worked to shed ACA requirements, including the individual mandate that penalizes people who don't sign up for coverage, HCSC raised premiums and limited the scope of doctors and hospitals patients could see at discounted prices, known as in-network providers. After falling 9 percent in 2016, HCSC's health care membership last year continued to decline, but at a slower pace: down 4.3 percent, to 8.44 million. "A lot of companies have tightened their networks," said Fitch Ratings' Brad Ellis, a Chicago-based credit analyst who heads the agency's health insurance sector, noting that Blue Cross providers are more exposed to exchange issues because of they have a higher percentage of individual customers than other insurers do. "Utilization was very high in their group, and there was a big guessing game in pricing the products," he added. "They've been able to price much more appropriately." HCSC premiums collected last year rose 7.4 percent, to $32.5 billion, after slipping about 3 percent in 2016. Capital and surplus levels, which steadied the company during the downturn, ended last year at $12.04 billion, up 26.2 percent. Ellis said HCSC's risk-based capital ratio climbed to 502 percent in 2017 after dipping to 383 percent in 2015. In 2012, it was 610 percent. Regulators get nervous at 100 percent, he said. HCSC is the fourth-largest insurer in the nation by revenue and membership, and is the market leader where it operates. Asked whether the company plans to leave any of its current markets, a spokeswoman replied, "We will make a final determination about our market participation in September." The company didn't provide an executive to discuss the most recent results. Last year, Carl McDonald, divisional senior vice president of treasury and business development, told Crain's that hiking prices on individual policies drove financial gains, as did emphasizing narrow network HMO plans, where consumers get deeper discounts in exchange for having access to a smaller pool of doctors and hospitals. In Illinois, however, that caused an uproar after many popular but expensive academic medical centers like Northwestern Medicine weren't included in the network. Despite the moves, McDonald said last year, HCSC lost about $500 million on individual policyholders in 2016, which was improvement from the $1.5 billion deficit in 2015. A "very significant" portion of the losses came from plans sold on the exchange, he said. "It's still a very unprofitable product," he said. Still, says Ellis, "They will charge what they actuarily need to make money. It's not overly profitable, but profitable enough." "Blue Cross' parent learns to live with Obamacare—and make some money, too" originally appeared in Crain's Chicago Business.